Hambela farm is located in the fertile state of Oromia in the Guji zone, between the districts of Gedeb and Hambela, 75 kilometers above Yirgacheffe. It covers 200 hectares and includes a washing station, dry mill, drying beds, a large warehouse and guest bungalows. The farm and its operations are certified Organic. 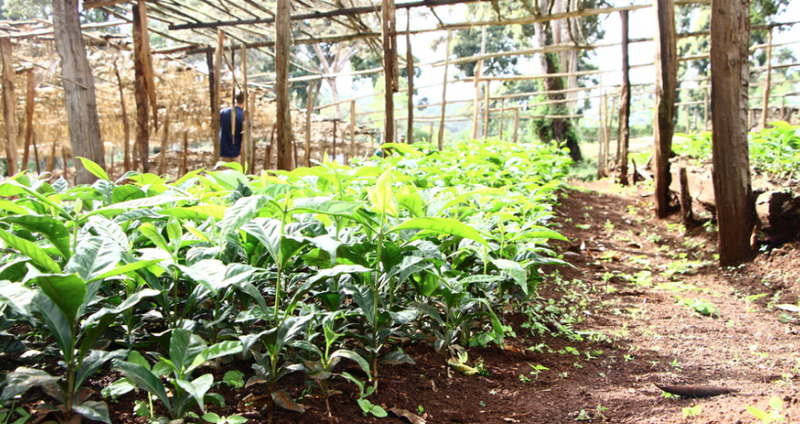 During Hambela’s first harvest season, in 2013/14, it produced only natural processed coffees. During the 2014/15 season, it implemented the Penagos Eco-Pulping machines and for the first time it produced washed coffees as well. METAD is currently led by Aman Adinew, who also was one of the founding cxecutives and COO of the Ethiopia Commodity Exchange (ECX). 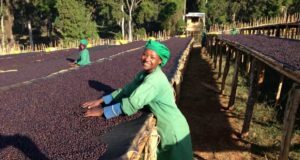 It employs 28 permanent staff and 700 seasonal staff—70 percent or more of whom are women—and teamed up with USAID to provide more than 700 “out-grower” farmers with best-practices training on growing, harvesting and selling coffee. 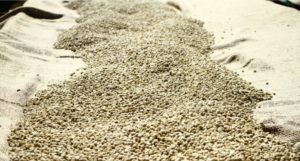 METAD has the capability, through its network of farms and processing sites, to source all types and grades of coffees, such as Yirgacheffe, Sidamo, Harrar and Limu, as well as the capacity to meet large volumes required by their buyers. The farm uses modern farming techniques such as apiculture (for crop pollination) and inter-cropping (to maximize and rejuvenate land resources). It also enforces environmental protection methods for coffee wastewater disposal in the wet-processing stage, to avoid ground water pollution. METAD currently owns and operates the first and only private, state-of-the-art, SCAA-certified coffee quality control lab on the continent. The laboratory is being used to train both domestic and international coffee professionals. A portion of all METAD profits are re-invested in the community. In addition, it sponsors more than 650 elementary school students in the area to ensure they receive a world-class education. METAD has adopted a school of more than 400 students in Hambela. They provide uniforms to the students, purchased benches and tables, and supplemented teachers’ salaries in order to encourage retention. It is currently also working with several of their buyers to drill a well for the school and the community.